It was purely by chance that I came across this weekly photo challenge idea, and decided on the spot this would be right up my street. Firstly, my blog has been a little dormant of late, and I want to bring it alive again. Secondly, I’m a keen photographer, observing my surroundings through the camera lens. And best of all, I happened to have exactly the right photo and inspiration behind it at hand. So here is my take on the photo, inspired by a poem, verse, song lyric or story. Being an English teacher, I love the language, and enjoy the work of many authors writing in English, past and present, British or American. Poetry is not always my cup of tea but certain poems have stuck with me ever since my uni years, where an elderly, white-haired and -bearded, English professor passionately guided us mundane and down-to-earth Finns into the secrets of English verse. The photo I’ve chosen is one that I take, from different angles, every year at this time. 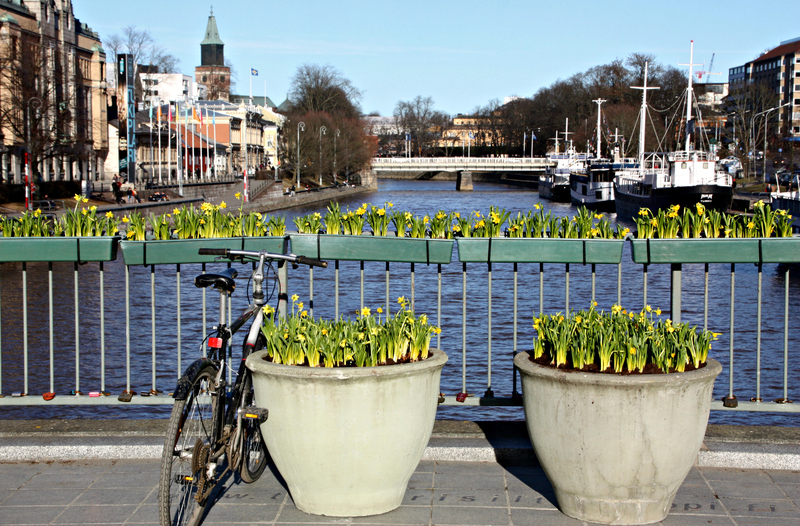 My hometown of Turku, on the south-western coast of Finland, by the Baltic Sea, has a lovely tradition of decorating the pedestrian bridge across the river, leading to the City Theatre, with thousands of daffodils just before Easter. For me, this a special day, and I always rush to the riverside to snap some pictures. After the long winter, this is one of the first signs of spring. And lucky for me, yellow happens to be one of my favourite colours, so happy and bright. Who would not smile, and take a few dancing steps, when seeing this sudden splash of brilliant colour after months of nothing but grey, black and white? This year we were super lucky to even have a clear, sunny day to welcome the flower display. I found the dazzling bokeh of sunlight, reflected on the water, added to the joyful feeling and spirit. Many people stopped on the bridge to stand and stare, some taken by surprise at the unexpected sight, others, like me, coming there on purpose. And here is the inspirational poem, in memory of late Professor Doherty. The riverside daffodils bring it to mind every year. In particular the last two lines resonate with me: And then my heart with pleasure fills, And dances with the daffodils. 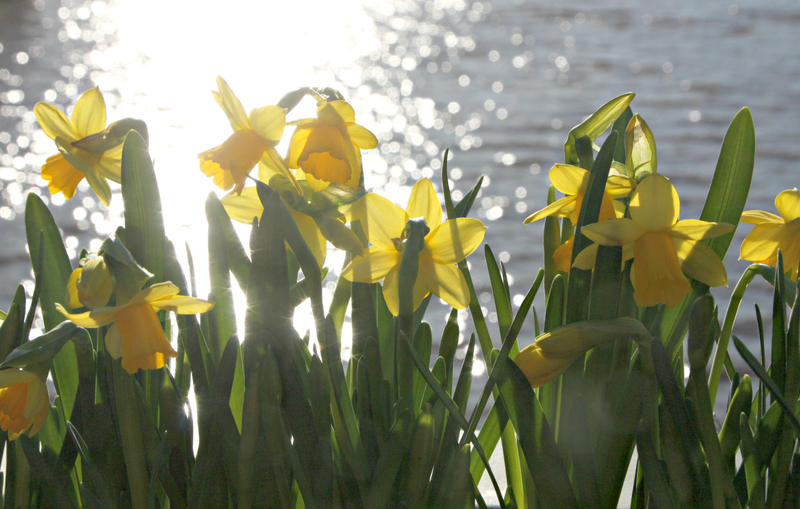 Categories: Life | Tags: daffodils, joy, memories, photo challenge, photography, poetry, seasons, spring, Turku | Permalink. Thank you so much for your comment! Nice to hear that you liked the photo, and the poem, too. What a wonderful post. 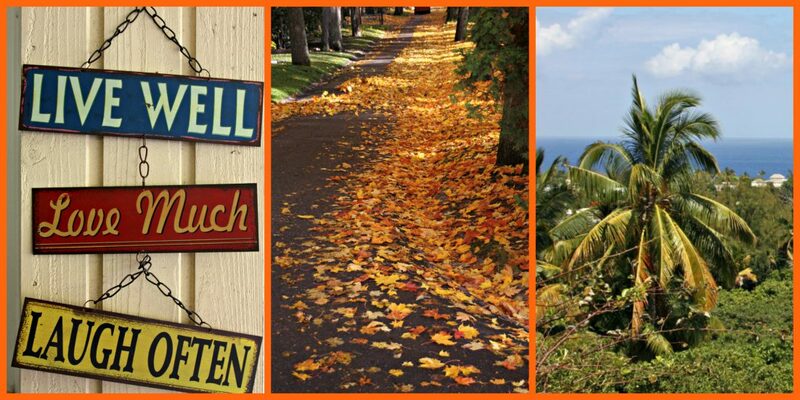 Great poem and beautiful photos. Thank you both for your comments, much appreciated!